How To Find Out The Unknown Person Who Messages You On Whatsapp:- You launch Whatsapp just as usual one day morning and find a Hi from some unknown number. Asking them Who are you? straight away wouldn’t be a nice idea. The person could be a long lost friend, an old school mate, a college mate or even be your new colleague. So is there any way to make sure that this person does or doesn’t belong to the category of people you know? Yes, of course, there is! Dive into the article to efficiently avoid many awkward situations that can be caused just because of this. 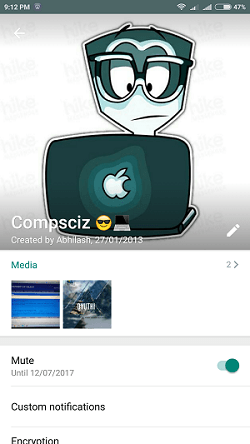 You definitely will be a member of a wide number of groups in Whatsapp. Your college group, the old school group, the office group, family groups, what not, even lkg-ukg groups could also be there. But saving every single member in each of these groups to your phone book might not sound like a great idea to you. The unknown person who messages you could be a member in one of these groups. So it would definitely be embarrassing if you ask him/her Who are you. So before shooting that question out, let’s try on our own to find out whether we know this person or not with the help of Whatsapp groups. First of all, click on the chat window and click on the unknown number which is at the top of the chat window. 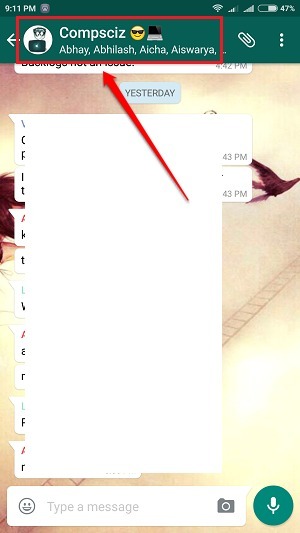 This will open up the chat profile of the unknown person. Scroll down to find a section named Groups in common. If this unknown person is in any of the groups that you are a member of, then all those groups will be listed under this section. You can figure out easily who the person could be, if there are too many groups in common. If you still can’t, simply click on one of these groups. 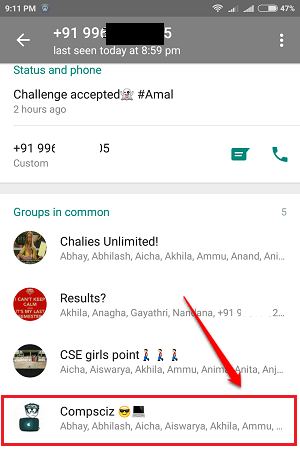 As next, click on the group name as shown in the screenshot given below. Execution of the previous step would open up the group info page infront of you. Scroll down through the Participants section to find the unknown number from which you received the message from. 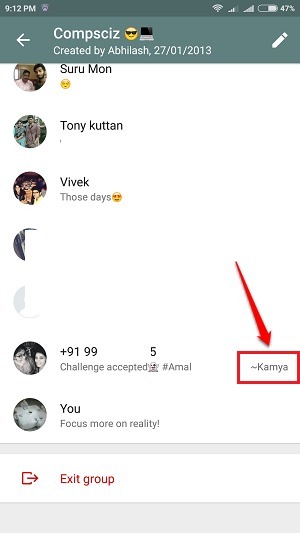 If you look at the right side of the name entry, you will be able to see the person’s name as shown in the screenshot given below. This is the general case. Sometimes, the person might not have provided his/her name. 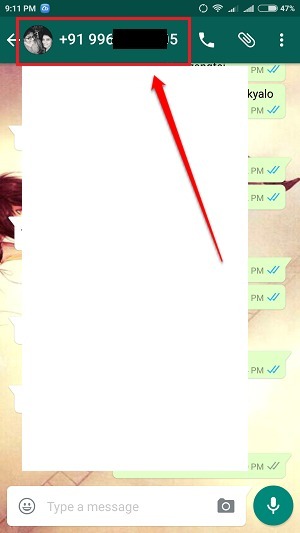 In that case, you can ask one of the group members through a private chat whether they know this person. You might know at least one of the group members, otherwise you wouldn’t be in that group in the first place, right? So, you still have hope, don’t worry if the name is not listed! It is not necessary that the unknown sender to be in one of the groups that you are also a member of, obviously. In that case, let’s take help from an external website/application. 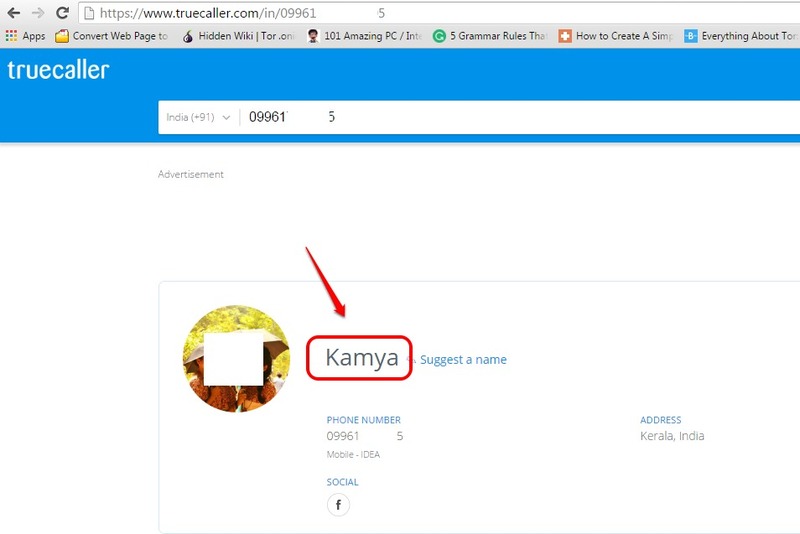 Go to www.truecaller.com and enter the unknown number in the search box and hit the Search icon. If asked to login, login with Facebook or Google. Viola!! The unknown sender can no longer be unknown!! Hope you found the article useful. If you have any doubts regarding any of the steps, please feel free to leave comments. We would be happy to help. Stay tuned for more tricks, tips, and hacks.